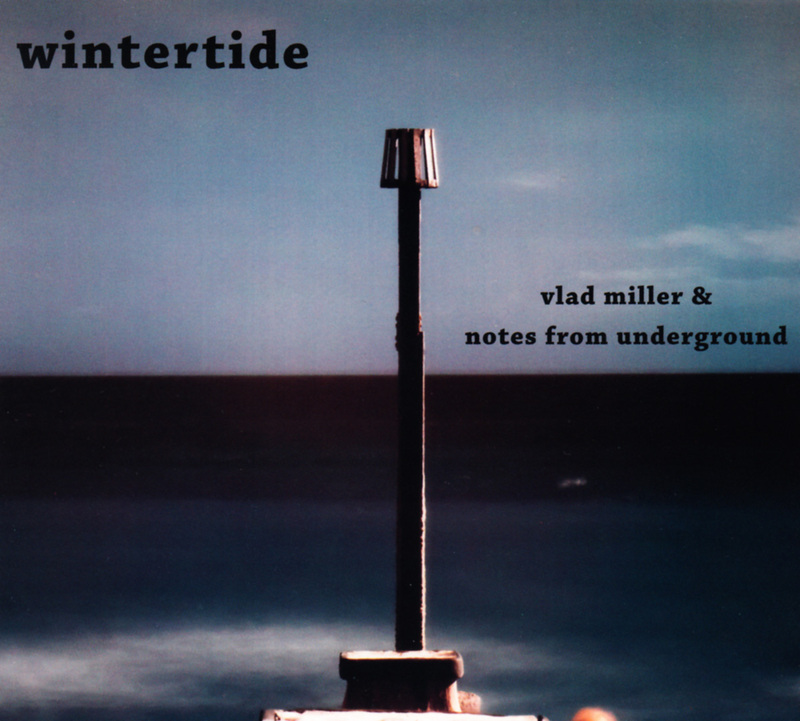 Wintertide is the new CD from Vlad Miller and Notes From Underground, an album of original tracks recorded at Map Studio, Kentish Town, London. “We thought it was appropriate to record these new pieces as we’ve been playing them in clubs and venues in London for quite a few months now and people have been asking for CDs or downloads to listen to, which is exciting,” says Vladimir Miller, pianist and composer of most tracks on this CD. Each piece on the album tells a story, such as ‘Rift’ (a misunderstanding between friends leading to cracks in the relationship and a drifting apart) or ‘Caprice’ and ‘Contradictions’, both musical comments on political leaders and politicians who attempt to inform and persuade us. ‘Wintertide’ was written to go alongside a weather forecast, whereas ‘Film Music’ was written as a theme for a imaginary drama series. ‘Russian Rodeo’ describes a driving experience on the busy Moscow highways that are rife with unusual and worrisome driving behaviour. This is their second album to date and this time includes Adrian Northover on soprano and alto saxes, an addition to the trio previously heard on their first release 'Diaghilev's Dance'. Coming from a background of free and experimental music, Adrian's creative edginess brings unexpected light and shade to the compositions.